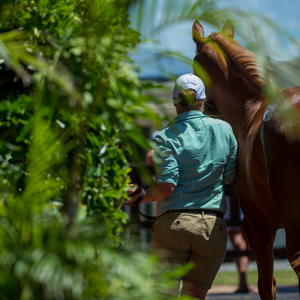 The 2019 Magic Millions Gold Coast Yearling Sale has been confirmed as the best ever with records tumbling across the board during a sensational six days of selling which concluded today. 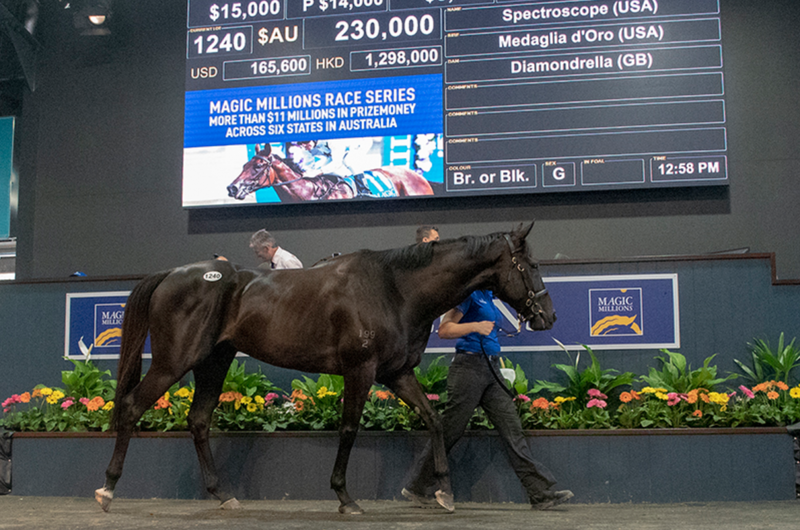 Today over $1.7 million was grossed across Book Three of the Gold Coast Yearling Sale and the Gold Coast Summer Racehorse Sale. Headlined by the $230,000 sale of group winner Spectroscope by Godolphin to Tosh Murphy, the Summer Racehorse Sale confirmed itself as Australia’s premier summer source of racehorses with strong prices. 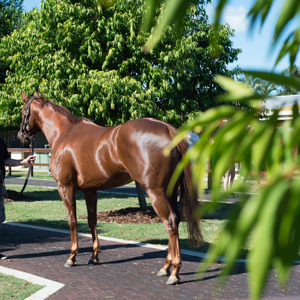 The average price for the Racehorse Sale was almost $41,000 and the clearance rate was over 95 per cent. Godolphin, fresh off winning Saturday’s The Star Gold Coast Magic Millions 2YO Classic with Exhilarates, provided the top nine sellers today. 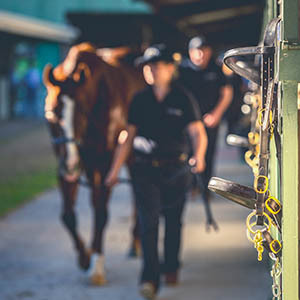 Their other six figure sellers were Astoria ($145,000 to Jack Pakis), Lava ($115,000 to Edward Cummings), Beau Geste ($100,000 to Te Akau Racing) and Hemsted ($100,000 to Roy Sergi). Across all six days of selling some $182,415,888 was grossed on 934 lots sold. The clearance rate was 86 per cent. 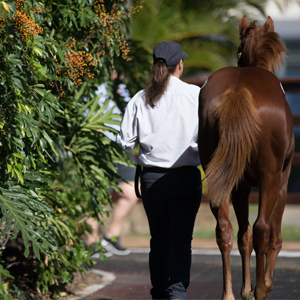 The Gold Coast Yearling Sale alone grossed $180.8 million – a new Southern Hemisphere record for a yearling sale – eclipsing last year’s record aggregate. “Today was a great way to finish off what has been an incredibly successful carnival,” Magic Millions Managing Director Barry Bowditch said. “I’d like to congratulate buyers and vendors and thank everyone who has played their part in making this event an enormous success,” Bowditch added. 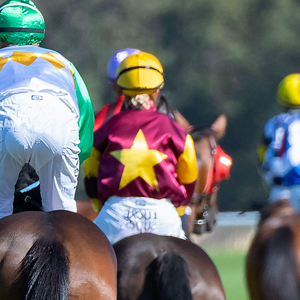 The Magic Millions sales focus next switches west for the Perth Yearling Sale (February 18-19) followed quickly by the Tasmanian Yearling Sale (February 25), the Adelaide Yearling Sale (March 12-13) before returning to the Gold Coast for the March Yearling Sale (March 18-19).